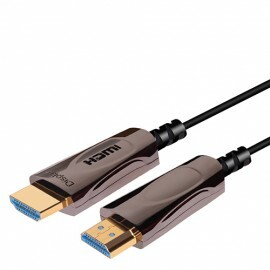 A great quality, exceptional value Fibre Optic HDMI cable capable of carrying 18Gbps signals over a distance of 10m and above (10m, 15m, 20m & 30m available from stock). Be one of the first to put this extraordinary HDMI connectivity to the test, you won't be disappointed! * More images to follow soon.